At Montefiore Aesthetics, we understand that the decision to have cosmetic surgery often goes beyond a desire to change the way you look. Patients tell us it is a personal, emotional and potentially life-changing experience. It’s why our team goes the extra mile to offer the understanding and personal touch you need to move forward confidently. Our unique approach to care is why people in our surrounding New York City communities, Westchester County and Connecticut turn to Montefiore Aesthetics for a full complement of affordable cosmetic solutions. Safety, privacy and your personal comfort and satisfaction are always at the forefront of what we do. We invite you to call us to find out more about our world-renowned, board-certified surgeons, compassionate team members and our fully-accredited, state-of-the-art Montefiore Hutchinson Campus—the newest and most innovative surgical outpatient facility in the region. We’re here to provide the information you need in a comprehensive and thoughtful manner. Call or e-mail us today to schedule your confidential consultation. Our board-certified surgeons are leaders in the field. Their skilled hands and eyes are coupled with calm, professional and welcoming personalities, giving you the utmost confidence that you are in great hands during your journey to the ideal you. 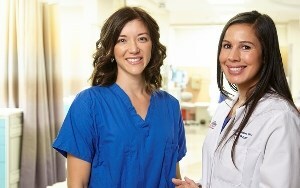 As with many leading hospitals, our doctors work together across specialties. Montefiore Aesthetics brings together team leaders in plastic surgery, facial plastic surgery, oculoplastic surgery, vascular surgery, dermatology and cosmetic specialists to participate in the care of our patients. Call to set up a consultation at our beautiful, new Montefiore Hutchinson Campus to discuss your goals. During your visit, we'll give you the time you need to learn and talk about what to expect before and after treatment. We're here to help.